Hey babes! Y’all know I love a good DEAL and I’m pretty sure you guys do too! 😉 Amazon is where it’s at when it comes to SO many goods – books, fashions, technology, home and more. I’m happy to say that over the years I have found some real GEMS. 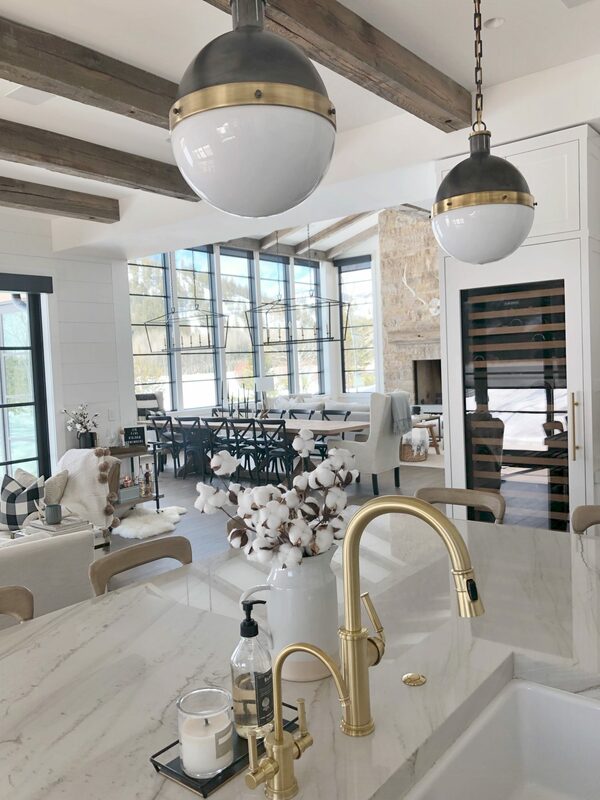 Today, I wanted to share my favorite HOME FINDS. I initially was going to share 10 but quite honestly, I had too many great products that I needed to show y’all! 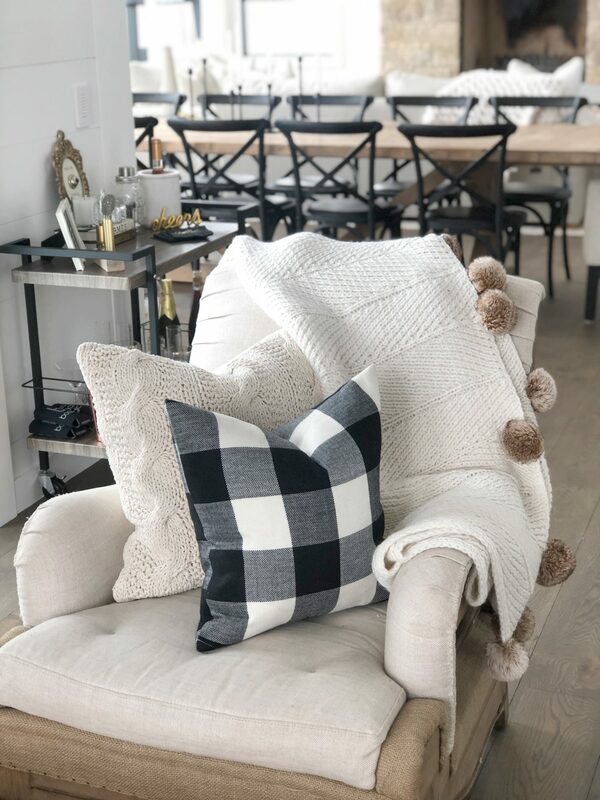 Buffalo Plaid Pillow Case – when I moved into my modern farmhouse the hunt was on for pillows. Plaid is where it’s at and I specifically love the black and tan versions. I couldn’t believe the price at $14.99 for a set of TWO!! Like, what?!! The quality is exceptional and I highly recommend these beauties. White & Gold Shelf – I’ve been looking for a stylish shelf for my office and when I came across this option, I knew needed it. I’ve found other shelves but they were $700+ price range and I didn’t want to pay that much. You can’t beat $450 for this beauty! This shelf is beautiful, functional and so easy to put together. That’s right boos, I assembled it all on my own! 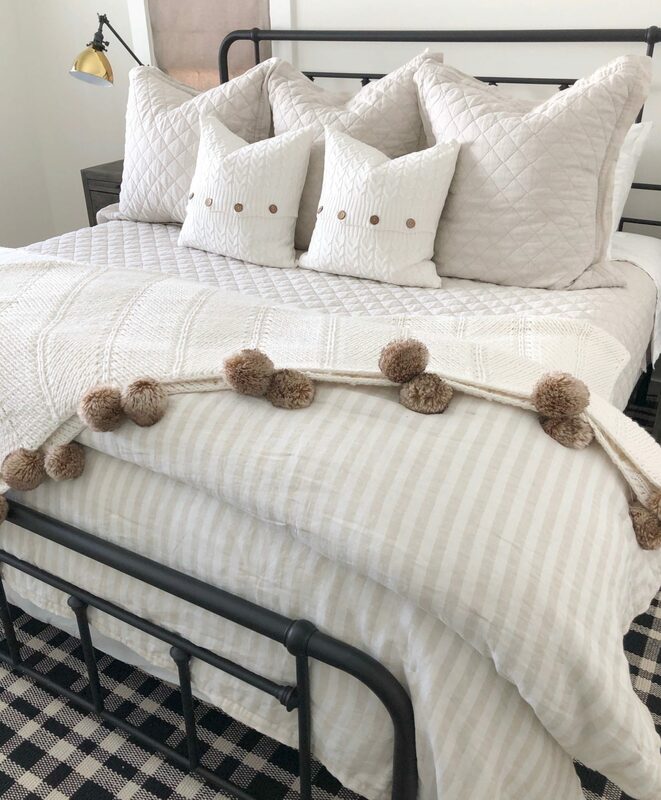 Cotton Stems – If you haven’t noticed, I have these ALL over my house. 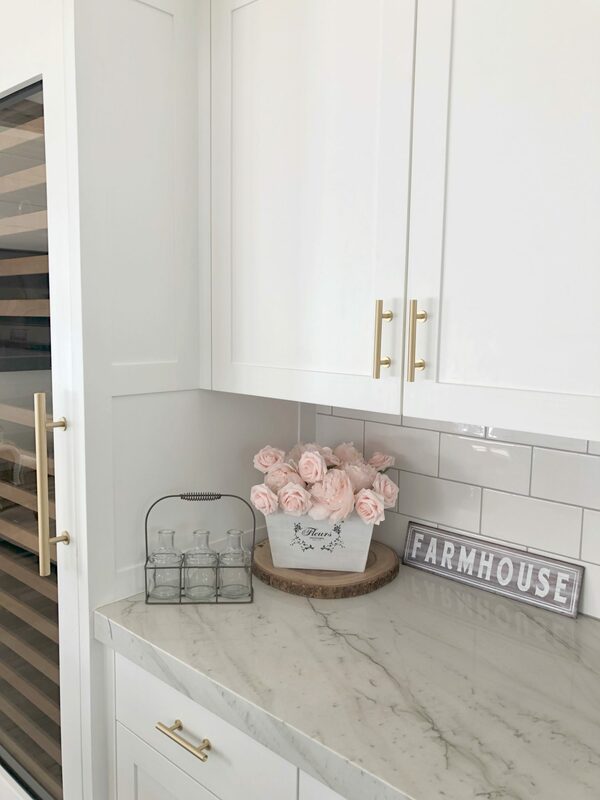 They are the perfect faux “plant” filler for my farmhouse style and only $12 for a set! 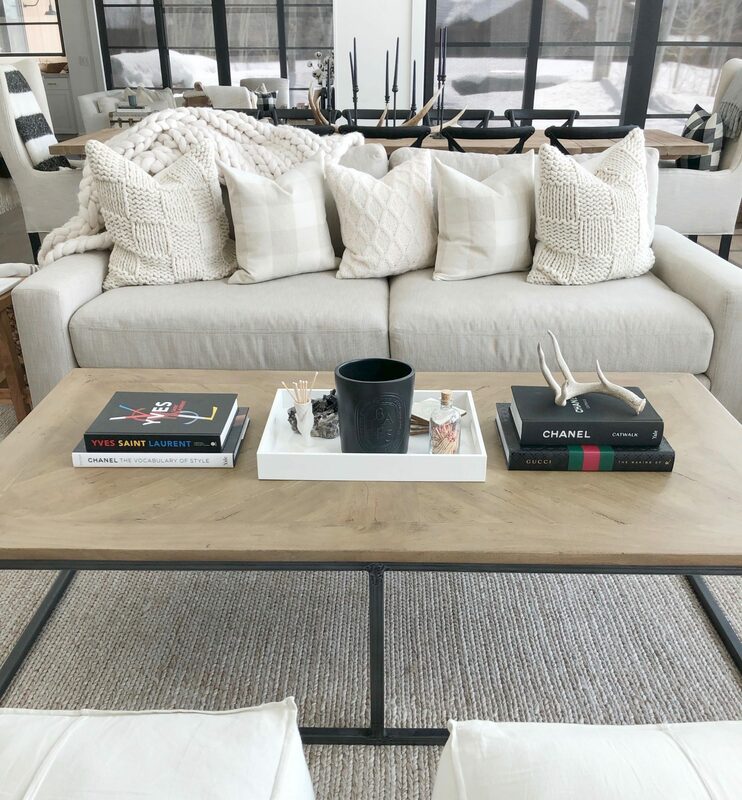 Sheepskin Rug – I love furry rugs as it adds a cozy element to any room. I specifically have this beaut in my closet. It was the perfect size at 4’x5.5′, to fill the space. The coloring is perfect – not too yellow, and not too bright white. 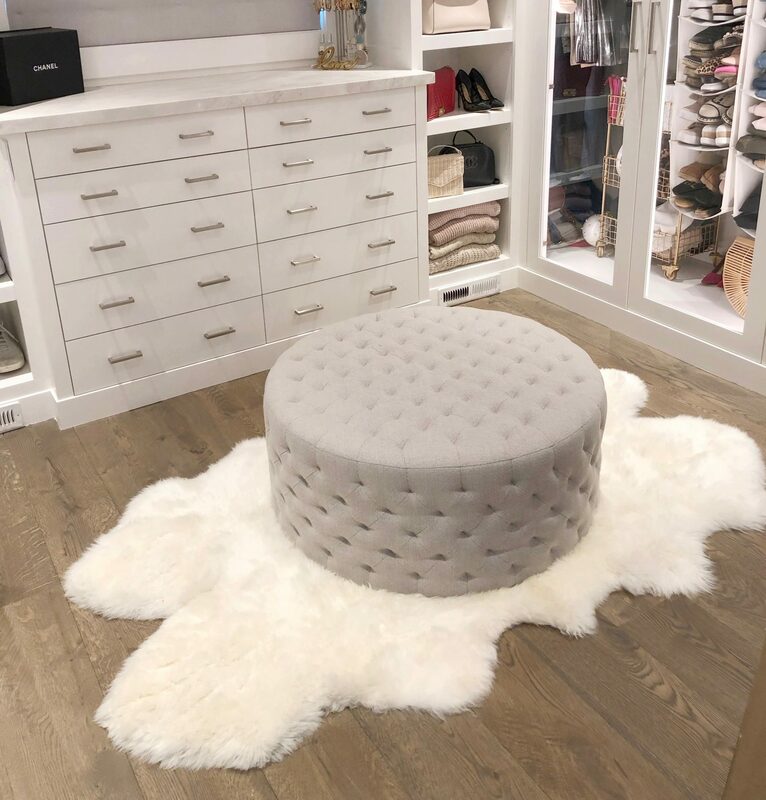 You can’t beat the price of $228 for the size of this sheepskin rug! 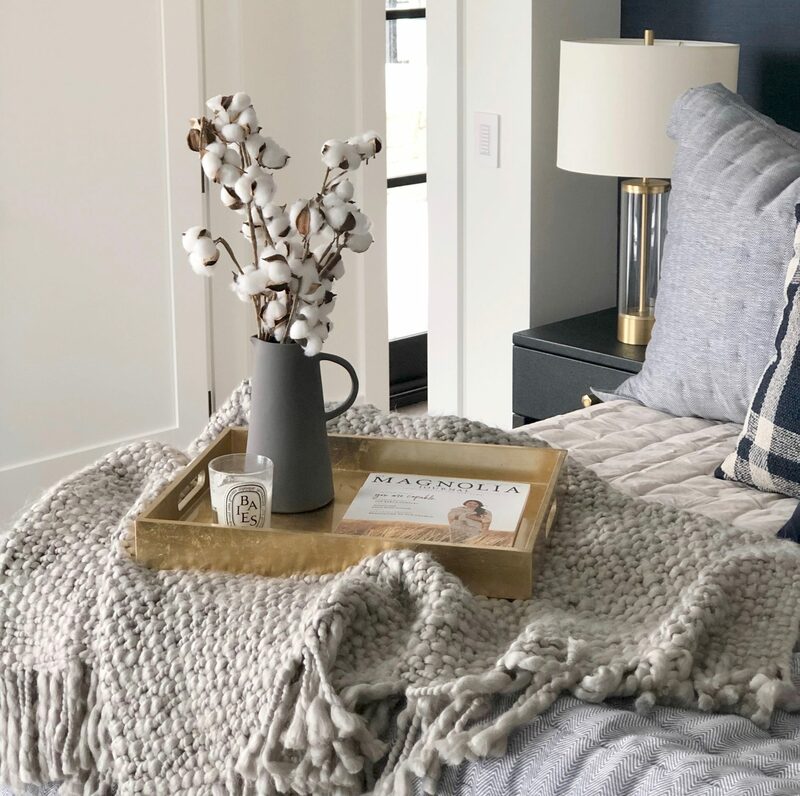 Knit Button Pillow Case – This is a new find as of last week. 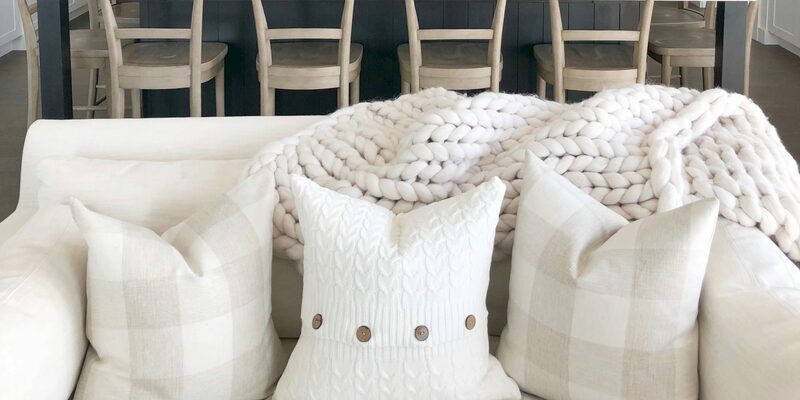 I’m always on the hunt for a good cable knit pillow case as they are cozy and perfect for any living and/or bedroom. I love the button detail AND the price doesn’t hurt – only $12.80!! 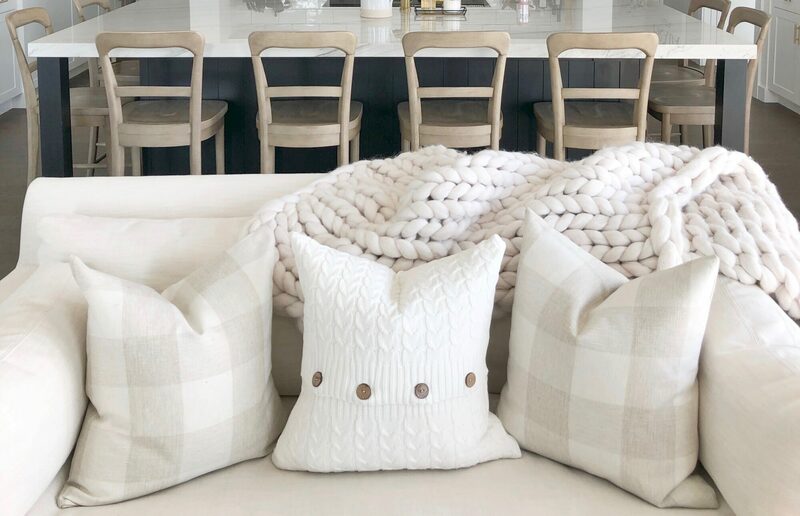 I look at pillows all day long and trust me, this is such a great DEAL! Sooooo obsessed! Ghost Chairs – I’ve had these chairs in different homes for the past 5+ years. And yes, they’re from Amazon! I mean… under $150 for TWO!! YAS please! I’ve used these for a vanity, office and dinning room. Hanging Shelf – Closet organization is not complete without hanging cubbies. Like, for reallllll! I just posted my closet org including these shelves. 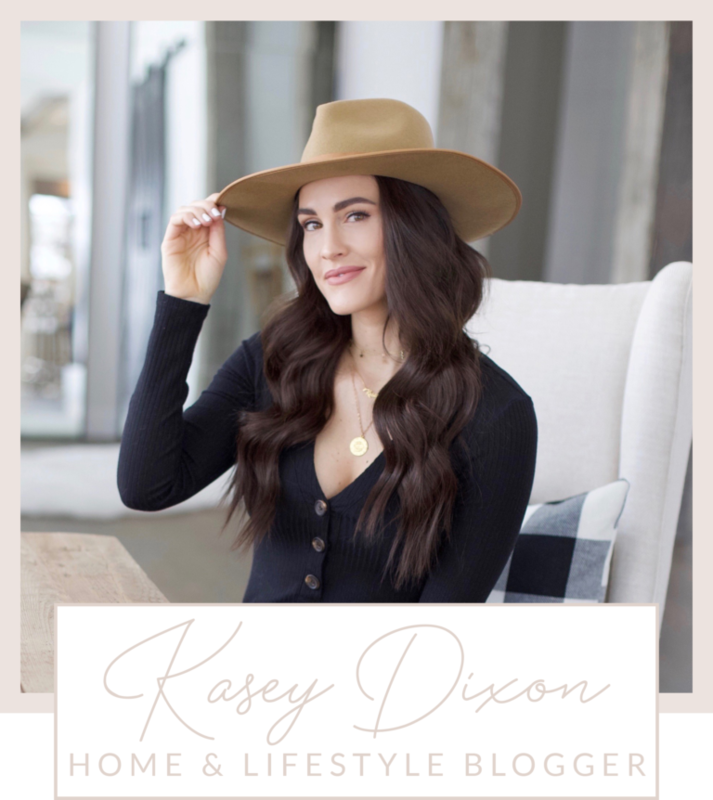 If you missed the post, check it out here to see how I use them. I’m a big fan of this neutral option and they are only $13! You don’t have to break the bank to get organized. Chanel Book (coffee table books) – I love coffee table books and every single one I have in my house is from Amazon. I especially love my little black Chanel beauty. It’s such a great steal at $39, originally $75! Faux Roses – If you know me, you know I love blooms!! Now that I live in the mountain, it’s hard for me to find decent flowers all year round. I went on the hunt to find good faux options, but was finding they were SO expensive. I decided to purchased these cheap faux roses to add to my Galentine’s Day decor. When I received them I was pleasantly surprised with the quality as they were only $28 for an entire box. After February was over, I styled them out in different areas of my home – bathroom, office and kitchen. They look SO good! 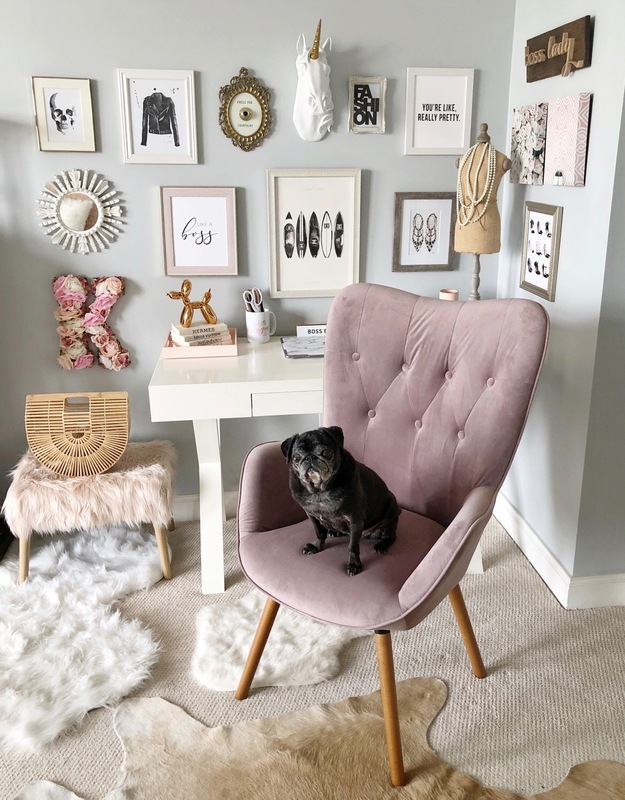 Pink Accent Chair – This chair is an oldie but goodie. I had it as my office chair in my condo in LA. Not only is it an amazing price but it’s perfectly comfortable for all day sitting. Most accent chairs I come across are at least $500+ so you can better believe I jumped on this find – only $240! I decided on the mauve color, which is pink, but there are 4 other options as well. Makeup Mirror – I found this mirror just a few months ago. I was looking for a magnified option paired w/ a light. I easily move it around my home depending on where I want to use it. 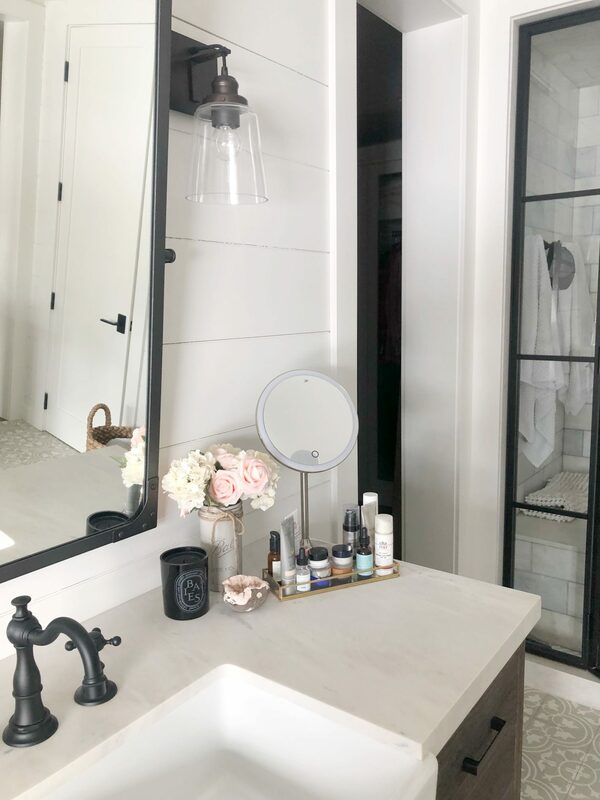 It’s under $60 and the perfect mirror to SEE your face! 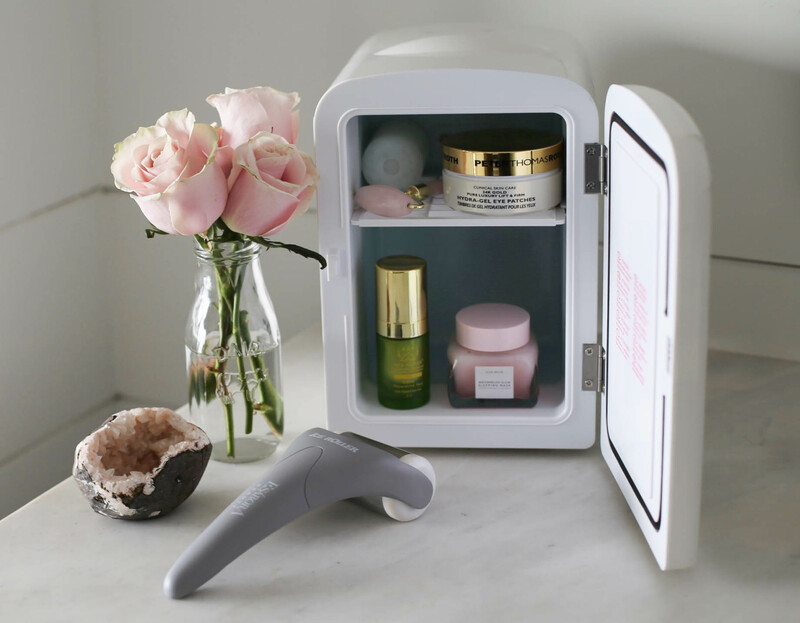 Mini Beauty Fridge – This item is the most genius purchase for your skincare. Not only is it under $40 but it keeps your eye cream, masks, moisturizers and rollers nice a cool! It’s time to step up your skincare game, boos! Faux Peonies – Similar to the roses, these were a find when I was decorating for a Galentine’s Day party. If you’re like me and don’t want to spend enormous amount on peonies as they are SO expensive, opt for these faux beauties! A pack is under $16! Milk Jar Glasses – I’m a sucker for a vintage jars as I’m in love with anything farmhouse-inspired. I first came across these when I used them for our wedding, which of course, the theme was rustic-chic. I finally found some for my home last year. I use them for blooms around the house! A set of 6 is under $16 – wooooohooooo! Closet Drawer Dividers – Ok, y’all… these are organization game changers!! 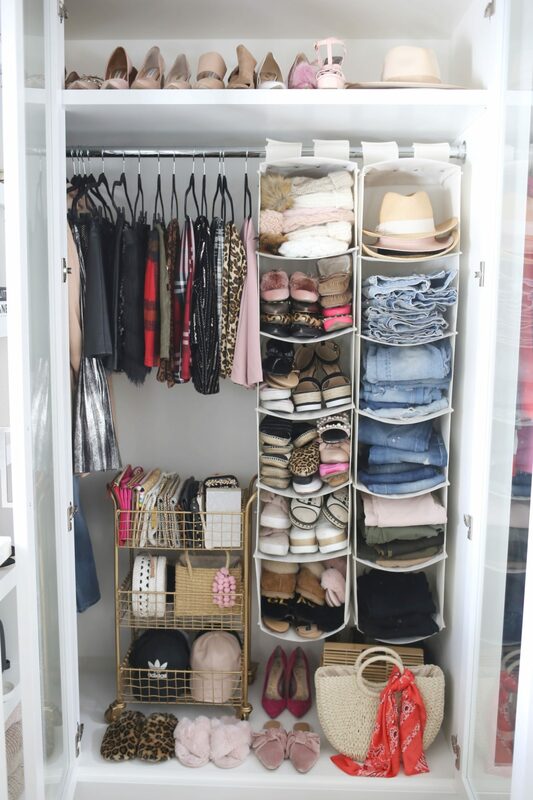 I just purchased the dividers for my closet and I’m in love! They help keep my bras, socks, underwear, belts and scarves rights and tight! They come in a set of 4 for only $15! Share the post "Top 15 Amazon Home Finds"